Summary: This series will tell the story of the holy tension between God’s Sovereignty and man’s free will. If you think the biggest miracle in the tiny book of Jonah is the fish story, then you’re badly, sorely mistaken. The biggest miracle is the miracle we find in Chapter Three; The Miracle of Revival. Perhaps the largest single revival in the history of the world occurred in the most unlikely place, the place where nobody and no one would have predicted it. Nineveh was the place prophets went to die. Most preachers want to go to places where the ground is fertile, where there are plenty of people to convert. But God sent Jonah to the hardest, most vile, cruel nation on Earth. We discussed in our first message that this was one of the cruelest, most powerful, and most idolatrous empires in the entire world. From the writings and records of their rulers, we find account of their shocking atrocities. They would cut the heads off of enemy soldiers and stack them up outside the city. They would mutilate bodies and stack them in piles. They would skin their captors and hang the skin on their city walls. 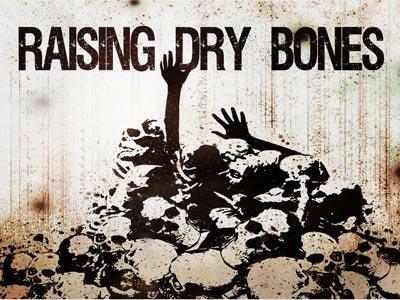 They would torture their prisoners of war by cutting off hands, yanking out organs, and gutting them. They would burn infants and women alive. Yet, this entire city was brought to it’s knees. And the revival was led by the unlikeliest of preachers. When you think of revival in a country, you typically think it must be led by a man of extraordinary gifts. You think of a Whitfield and his voice that could project miles. You think of Billy Sunday and his fiery preaching style and captivating antics. You think of Billy Graham, the gifted orator from North Carolina. But as Paul shares in 1 Corinthians, God often uses the weak or base things to confound the wise. And God couldn’t have chosen a weaker candidate to lead Nineveh to revival than the man Jonah. When we last saw Jonah, he was sunbathing on the shore of the Mediterranean, hair bleached white, smelling like the insides of a fish, bruises along his body, and a broken, repentant soul. God had prepared a special creature in the depths of the ocean to save Jonah from death. But God didn’t save Jonah because God was done with Jonah. God saved Jonah, because Jonah had a job to do. I imagine Jonah heard those words and they were a balm to his soul. No, he still wasn’t excited about returning to Nineveh, but he was excited to hear the Lord’s voice once again. He had fled from God. He had tried life without God. He had found it miserable a place where there were “bars” and that was a “living Hell,” if you read Jonah’s prayer in chapter 2. No, that voice of God was good to hear. And what did God say when he found Jonah on that beach? The same thing it was when Jonah heard God the first time in Chapter 1. Go to Nineveh, that great city. Go to Nineveh that great city and preach the preaching I have given you. The first time God called Jonah, Jonah didn’t go. Why? 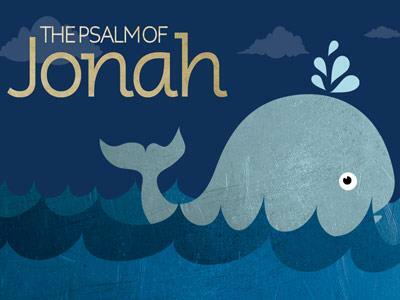 Jonah was a big man in Israel. A popular prophet. To go to Nineveh was to sacrifice credibility, and reputation as a patriot in Israel. Plus, it was absurd to think of Nineveh would even listen to the message. It would be like walking into the mosques of Iran or the palace of Kim Jung Il of North Korea and telling them that God is going to judge them. You’ll notice that the word used of Nineveh, “exceeding great.” They were great in size, in influence, in prosperity, and in evil. I’m reminded of Moses, who had failed before to lead Israel against Egypt. When God told him to confront Pharaoh, Moses had all kinds of excuses. God said to Moses, “Go and say I Am hath sent you.” This was the same with Jonah. It wasn’t about the messenger. And it never is. God calls us to go, to preach the gospel. And He’s the one who works in the ears of the hearers. Revival isn’t about the strategy, though that’s important. It’s not about the craftiness of the messenger, though that’s important. 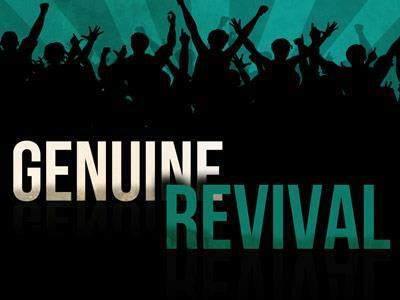 Revival is about the message, the timeless message of the Gospel. This series will tell the story of the holy tension between God’s Sovereignty and man’s free will.